Owner Of Wechat And Clash Of Clans "Tencent" Exceeds Facebook In Market Value Which Is Worth $500 Billion. Owner Of Wechat And Clash Of Clans “Tencent” Exceeds Facebook In Market Value Which Is Worth $500 Billion. The Owner of Wechat and Clash of Clans “Tencent” became the first Chinese company to be valued at more than $ 500 Billion this week and surpassed Facebook as the fifth most valuable company in the world. 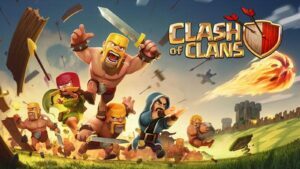 Profit from China’s social networking and gaming company “Tencent” jumped with the popularity of its smartphone games led by titles such as “Clash of Clans” and “Honor of Kings” – a fantasy game that promotes role-playing with so many the population of Germany. With support from the bottom line, Wechat a message exchanger and payment app reached about 980 million monthly active users with 38 million messages sent daily. In Youtube, the company has become largest subscriber base. This success helped grow their shares more than double this year. It is the most valuable company in the Asia, having more than $ 500 billion. Also see – Paytm And ICICI Bank Collaborates To Give Users Short Term Digital Credit. The iPhone maker has a market capitalization of about $ 873 billion. It expectedly made revenues and is yet at the top position in the Global market. Led by Chinese billionaire Pony Ma, the company reported a higher-than-expected 69% increase in third-quarter net profit this month. That is too surprising. And they bid on it to grow more. “Tencent’s high growth, as demonstrated by its quarterly results, sustained the stock rally,” said UOB sales director Kay Hian, Steven Leung. Well, it was just a news which is going viral on the Internet. We hope you like it. And don’t forget to come back for more such news.